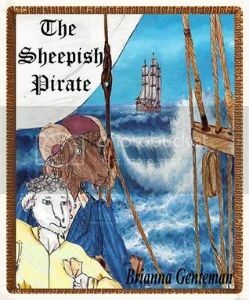 When a midnight excursion to the seashore goes terribly awry, eleven-year-old British sheep Ryeland Borderlester and his precocious little sister, Babette, accidentally become stowaways on a pirate ship. Ryeland and Babette join the crew of swashbuckling animals on a quest with Captain Argyle, a Scottish ram, in search of a legendary stone to help him find his twin brother who mysteriously disappeared five years ago. Ryeland breaks free from his shy shell, adapting to his nautical surroundings, and even finding friendship among the pirates. Everything seems to be going swimmingly until Babette gets stolen away by Horace the Horrible Hare, captain of the Carnivorous Coral and the scurviest pirate in all the seven seas! Ryeland, Argyle and the crew race to rescue Babette, as she holds a key to finding the ancient artifact. It is no longer just drawing the attention of rogue pirates, but also that of the Royal Navy and the Dutch and Greek Fleets. 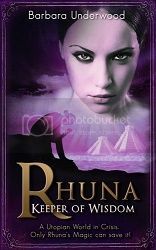 Faced with the prospect of losing his sister forever, Ryeland must help Argyle on his quest and join in the sea battle between three nations! Think Wind in the Willows meets Pirates of the Caribbean, with a few extra twists for good measure. That’s what this story will give you, and it is brilliant. This novel is the adventure of a lifetime. This is a very well written novel. Genteman employs a very approachable and easy to follow writing style. This is backed up by a very solid storyline. There are lots of twists to this story that keep you intrigued. There are some very tense moments, some very heartfelt moments, and a whole lot of fun. I absolutely loved the alliteration that runs rampant throughout the story. It makes everything stick in your mind. It makes the characters even more memorable than they already are and the locales into places that you need to visit. The characters in this novel are absolutely adorable. They are well developed and extremely unique. The interactions between the characters are always natural and at times absolutely hilarious. I found it comical how some of the characters are extremely formal and others are quite laid back and talk in slang. It adds a stark contrast to the story, just like you would find in real life. Also, each character stays consistent throughout the novel. Even though some of them grow as individuals, they are still the same person that they were in the beginning. This is definitely one of those fun for all ages stories. I’d recommend it to anyone looking for a light-hearted escape from reality.